The middle layer of the stigma may contain cells with easily broken wall, where tissue dehisces for seed dispersal. 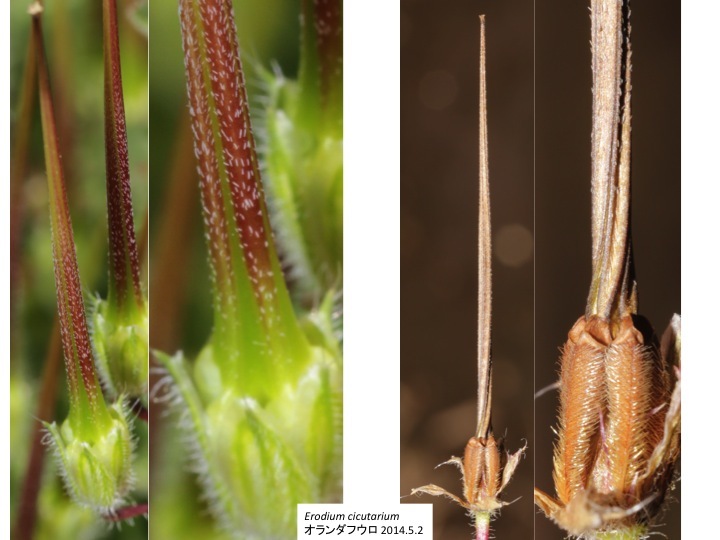 A stigma is straight during the growth in seed maturation. 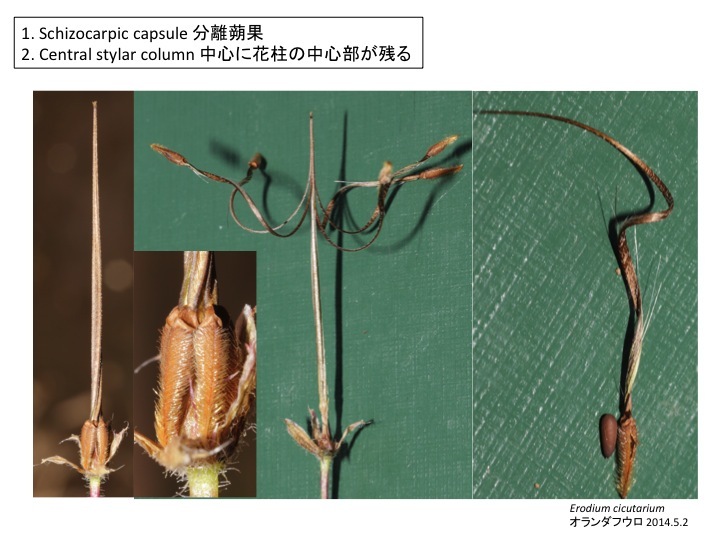 When it is matured to dehisce, a stigma is twisted and produces power to disperse seeds. The orientation of cortical microtubules likely regulate that of nascent cell wall microfibrils, which manages the direction of cell growth (Griddings and Stachelin 1991). Microtubules are oriented mostly perpendicular to the longer axis on a wild type Arabidopsis thaliana root cell, which elongates parallel to the longer axis (middle). When microtubules lean in right or left, the direction of cell elongation shifted and as a whole, a root composed of such cells is rotated (Furutani et al. 2000; Thitamadee et al. 2002). 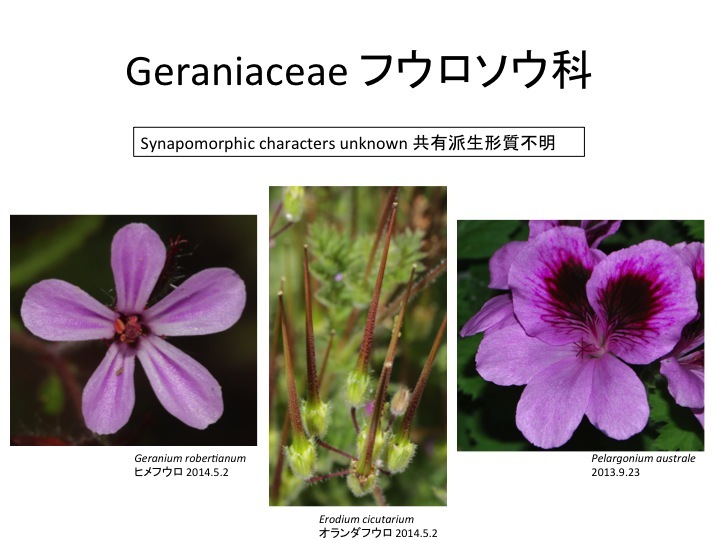 Similar mechanisms may function in Geranium pistil development. 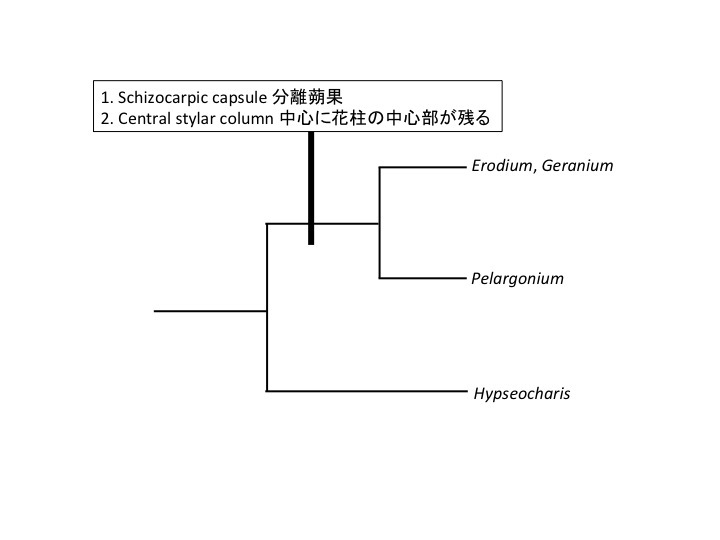 Furutani, I. et al. 2000. The SPIRAL genes are required for directional control of cell elongation in Arabidopsis thaliana. Development 127: 4443-4453. Griddings, T. H.Jr & Stachelin, L. A. in The Cytoskeletal Basis of Plant Growth and Form 85-100 (Academic, San Diego, 1991). 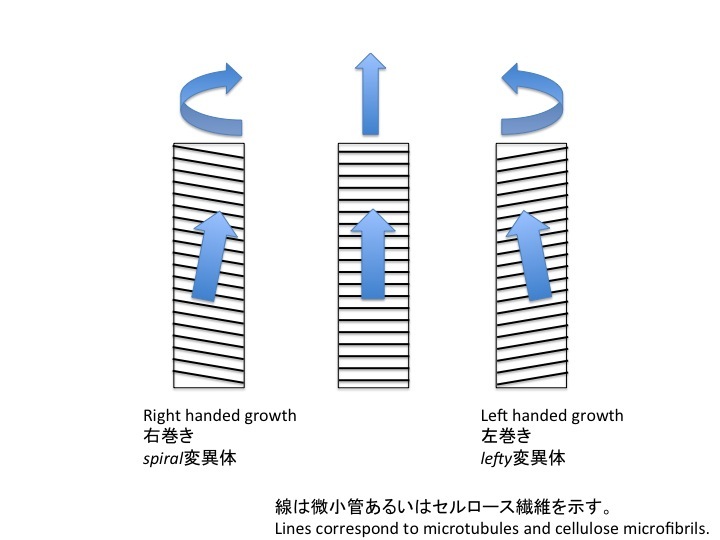 Thitamadee, S., Tuchihara, K. and Hashimoto, T. (2002) Microtubule basis for left-handed helical growth in Arabidopsis. Nature 417: 193-196.